Explore the techniques of contrast, isolation, placement, convergence and the unusual, and how these can create emphasis in Art and Design. Steve McCurry’s photograph of an Afghan girl uses contrast to grab our attention. The whites of her eyes stand out against her dark hair. Her hazel green eyes contrast with the red of her shawl, focusing our attention on her intense stare. 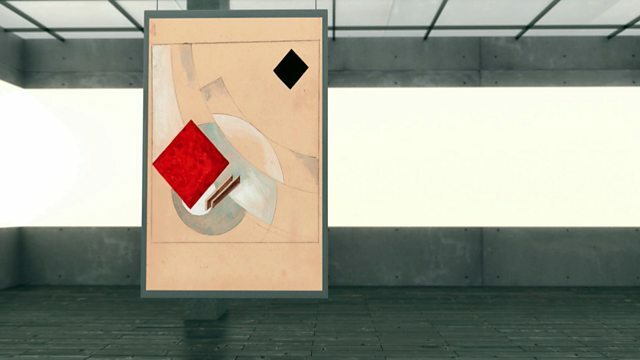 El Lissitzky uses an element placed in isolation to create emphasis in his work ‘Study (For the Story of the Two Quadrats)’. Francisco Goya used the placement of the subjects of his paintings to create emphasis. A figure placed just off-centre wearing bright white and yellow creates emphasis and draws the eye of the viewer in his painting ‘The third of May, 1808’. L.S. Lowry used convergence to direct the viewer to a focal point in ‘After the Match’. The shape and placement of the subjects in the painting imply they are walking to the train station that is the main focal point of the painting. Adding something unusual that is not expected creates emphasis by drawing the attention of the viewer. This is seen with the black and red woodpecker that clashes with the muted blues and greens of the background of Akseli Gallen-Kallela’s painting ‘The Great Black Woodpecker’.